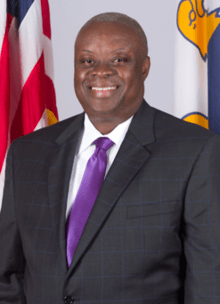 CHARLOTTE AMALIE — Governor Kenneth Mapp has delivered his executive budget for Fiscal Year 2017 ahead of the May 30th deadline with a 24.7% decrease in the structural deficit of the Government of the Virgin Islands. The Fiscal Year 2017 Executive Budget submission proposes a financial plan of $1.35 billion in expenditures and debt service cost. The budget is comprised of $1.16 billion (86%+/-) of local funds, and $193.5 million or (14%+/-) of Federal Grant funding. In his letter to Senate President Neville James, the Governor said, “The budget as submitted to you today is about work. It provides additional resources to our departments and agencies so our employees can better serve our community. This budget also acknowledges the hard work and valued importance of the third sector of our community; the not-for-profit sector. This sector provides many important services and takes care of vital social responsibilities that are inappropriate for the private sector and most inefficient in the public sector”. In the FY 2017 budget, the Governor has recommended an increase in almost every category of contributions and grants to the not-for-profit community. The budget places more emphasis and provides more support to programs and activities that nurture our children. The Governor is requesting an increase in grant support for programs and intervention services to aid families in crisis, programs to target domestic violence and programs that offer help to those suffering with substance abuse. The budget request reaffirms to public employees that salary increases are sustainable and to taxpayers and that the timely receipt of their income tax refunds are vital to our economic recovery. In addition, the budget provides for a restructuring of the Government’s debt, to take advantage of lower interest rates, to fund new capital projects and to reduce our debt service cost by more than $50 million each year. As part of the restructuring, the Governor is requesting approval of a capital project budget to fund $300 million of projects and improvements to our infrastructure. “The capital projects are intended to stimulate out recovering economy.” the Governor said in his letter. The capital project budget will address a number of obligations under various consent decrees including our landfills, prisons, hospitals and police department. It will fund maintenance, repairs and restoration of a number of public schools, including the shuttered Elena Christian Jr. High, the Evelyn Williams and Joseph Gomez Elementary Schools. The Government has identified nonfederal land to construct a new K-8 grade school on the island of St. John and the Governor is requesting $32 million to construct the new school. In short, the capital budget will circulate money in the economy, create jobs and produce an improved infrastructure that will attract investments in the private sector to grow the V.I. economy. “We believe it is vital that we add momentum to our economic recovery.” the Governor said. In addition to the jobs to be created from the capital projects, our operations budget also contains 885 newly funded positions. “The 2017 budget as submitted to you today is about work and my Administration will lead this charge.” Mapp said. With the economy on an upswing, the Governor noted that hotel occupancy rates are running on average at 75% on the big island, higher than the industry standard in this region. The Department of Tourism is capturing new and expanding air routes to the territory and to St. Croix. This upward thrust in the tourism sector is the foundation for the growth momentum in the economy. “I do not understand why I am having such difficulty with Senators from the District of St. Croix in moving this project forward. Building an upper upscale hotel of at least 250 rooms and the ancillary facilities will create hundreds of new jobs, drive construction activity and generate a synergy for other private sector tourism related investment on the island. The stark reality is; St. Croix needs the rooms.” Governor Mapp stated.